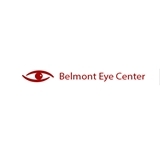 Belmont Eye Center (New York) - Book Appointment Online! The Belmont Eye Center is dedicated to setting the highest standards in the diagnosis and treatment of vision problems involving the cornea to protect and restore eyesight. The Center coordinates and supports research and education in the field of ophthalmology and corneal surgery to establish new successful forms of treatments. It exemplifies the traditions that make New York University Langone Medical Center and Weill Cornell Medical College – New York Presbyterian Hospital two of the most prestigious academic centers in the world, combining superior medical research, physician education and patient care. Very competent. She was unrushed and listened carefully.